The government of Botswana has denied as unfounded media reports that it loaned US$600 million to Zimbabwe. In a statement signed by the permanent secretary to the Botswanian president, Carter Morupisi the two countries are currently holding discussions under a framework of Bi-National Commission, the results of which to be made public at an advised time. “The Office of the President wishes to inform members of the public that the Government of the Republic of Botswana and the Government of the Republic Zimbabwe are currently holding discussions under the framework of the Bi-National Commission. 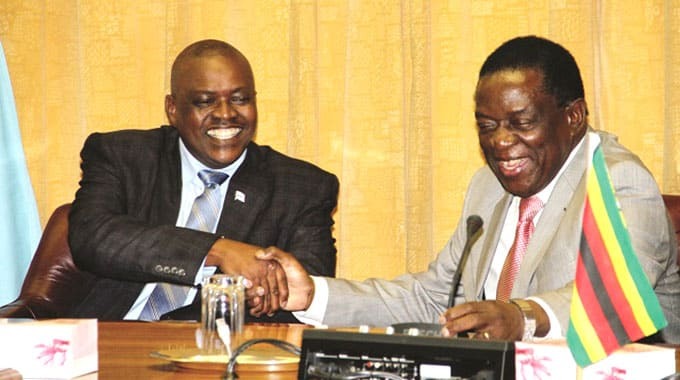 “As such, media reports that are currently circulating about the line of credit worth Six Hundred Million United States Dollars that the Government of Botswana has committed itself to extend to the Republic of Zimbabwe are unfounded. “We wish to advise members of the public that in accordance with International practice a communique which summarises the outcomes of the meeting will be issued following the conclusion of the Bi-National Commission,” read the statement.